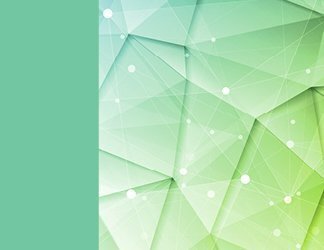 In a virtualized environment, it's easier than ever for a business to violate licensing requirements. Applications or OSes installed on VMs in one host can move to another server with ease, which can defy VM licensing terms. And the ease with which VMs can be created can easily push businesses into exceeding software-licensing restrictions. 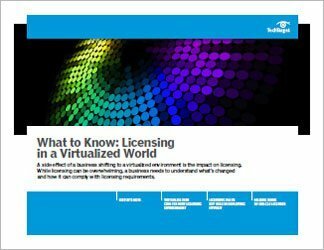 This three-part guide helps to explain the implications of licensing in a virtualized environment. With the core concept now entrenched in computing, licenses have switched from a per-CPU basis to per-core. And CPUs are now being sold with as many as 18 cores, so licensing prices could soar. This could cause your business to change how it configures its servers. 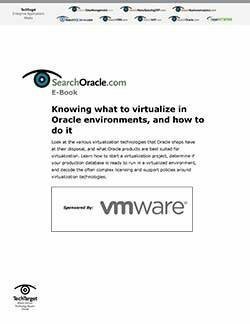 This guide also takes a look at Oracle, which is notoriously unforgiving with regard to virtualized environments. Oracle virtualization licensing can be perplexing, especially when using Oracle products on VMware. 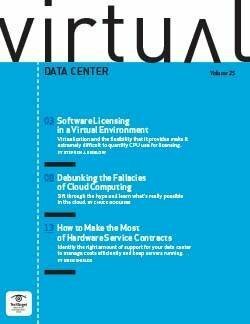 The company offers guidelines, but not hard rules, and what guidance it provides is often contradicted by VMware. This guide attempts to clear up misinformation on Oracle VM licensing and VMware licensing costs when using Oracle products.